The Intellibot AeroBot Robotic carpet vacuum cleaner offers Hands-Free Robotic Vacuum Cleaning in a 25.6in (65cm) wide pass to increase productivity, improve cleaning consistency, and reduce cleaning cost in your facility. AeroBots use powerful motors to consistently and meticulously remove embedded dirt and debris that traditional manual vacuum cleaners miss. This highly versatile robotic vacuum cleaner may be mapped* for use in Education / University, Retail, Office, Warehouse, Manufacturing, Airport, Arena, Gymnasium... environments. To find out about mapping the AeroBot for your facility call Dobmeier directly at 1.800.870.2006. 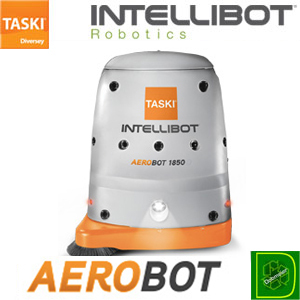 TASKI INTELLIBOT AEROBOT 1850 IS NOW AVAILABLE WITH BEST AVAILABLE DISCOUNT PRICING FROM DOBMEIER - CALL 1.800.870.2006! AeroBots feature a 14-gallon vacuum bag and dual cartridge filters that allow the robots to work multiple cleaning shifts without interruption. The optional battery exchange kit (TASKI-1100059) allows the operator to exchange tired batteries for fresh in just a few minutes, completely avoiding any down time for the robot to recharge. Each maintenance-free battery pack provides up to 4 hours run time. A single operator can easily manage multiple AeroBot units to multiply productivity severalfold. AeroBots feature a large touchscreen control panel with icon-based menu that eliminates language barriers and makes operation easy. Interactive menus and on-line, multi-lingual help screens guide the operator through various functions and cleaning options including Route, Area, Spot, and Manual modes. Custom-mapped cleaning routes are stored in memory for rapid selection. Prior to starting, each operator provides a password code that prevents unauthorized use and identifies the operator for performance reporting. AeroBot features Intellibot's G-10 technology, that uses 14 sensors to give the robot a 360-degree view of its environment, so it can operate and clean autonomously. It will automatically navigate around objects, avoid stairs, and come to a safe stop if someone inadvertently steps into its path. The easily accessed emergency stop button can immediately halt the robot, safeguarding people and equipment. And front and rear signal lights flash to notify people when it is stopping or turning. AeroBot provides a 25.6in cleaning width with a rotating side brush that extends 2in out from the robot housing to ensure that debris at wall edges is thoroughly swept up and vacuumed. The highly sensitive sonar allows the brush to get as close to the edge of the wall as possible without making contact with either the molding or wall itself. AeroBots clean deep between carpet fibers and vacuum up dust to prolong carpet life. Exhaust air is cleaned by 2 standard washable foam filters. Additional dust filtration is possible with the use of optional HEPA cloth filters and HEPA cloth vacuum bags. The units can even work in complete darkness so you can turn off the lights to save energy. Noise pollution and personal distraction is minimized by quiet operation with 65dBA noise rating. The AeroBot's front door allows easy access to the brush head and other service components (e.g. fuse box, circuit breaker, etc). The tank and lid design allow easy access to all filters and to the tank for daily maintenance or cleaning. Bag, filters and the brush head are also easily accessible, as are the integrated drain hose with drain valve. Batteries are quickly interchangeable when using the optional Battery Exchange Kit. AeroBots are equipped with Wi-Fi and 3G communications to enable on-demand performance reporting and remote diagnostics. Reports show the machine location, operator identity, running times and dates, and any maintenance issues. On-board diagnostics constantly monitor all major systems to self-diagnose problems or routine maintenance needs so that the robot can alert the operator or Intellibot service staff when required. Intellibot technicians can remotely diagnose and remediate problems, significantly reducing downtime and service call expense. Dobmeier Janitorial Supplies, New York - Official TASKI Distributor. We ship Janitorial Floorcare Equipment, Accessories, Parts, and Supplies Anywhere in North America. 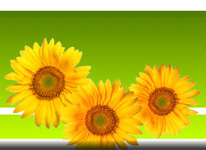 For Best Available Discount Pricing Call: 1.800.870.2006.